Punctuated Equilibrium is an evolutionary biology theory hypothesizing that most species will undergo minimal evolutionary change for most of their geological history. When significant evolutionary changes occurs, the theory posits that they are driven by selective pressure due to rare, geologically rapid events of branching speciation called cladogenesis. Cladogenesis is a process by which a species splits into two distinct species, rather than one species gradually transforming into another. 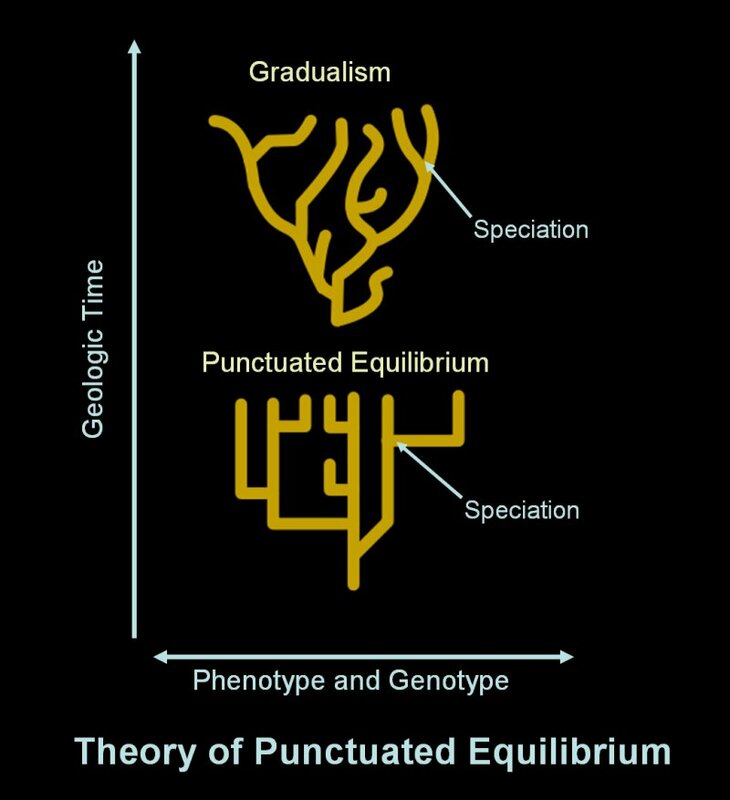 Punctuated equilibrium is usually compared and contrasted with the theory of phyletic gradualism that holds that evolution occurs uniformly and by the steady and gradual transformation of whole lineages (called anagenesis). In this view, evolution is seen as a generally smooth and continuous process. In 1972, paleontologists Niles Eldredge and Stephen Jay Gould published a landmark article presenting the theory Punctuated Equilibrium, thereby extending and combining Ernst Mayr's theory of geographic speciation and Michael Lerner's theories of developmental and genetic homeostasis. Eldredge and Gould proposed that the degree of gradualism commonly attributed to Charles Darwin is essentially nonexistent in the fossil record, and that static lack of phenotype and genotype change dominates the history of most fossil species. 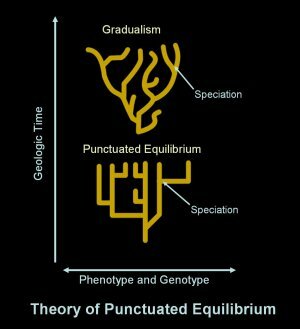 Punctuated equilibrium logically extends from Ernst Mayr's concept of genetic revolutions by allopatric and especially peripatric speciation as observed in the fossil record. Allopatric speciation holds that species with large central populations are stabilized by their large volume and the process gene flow. New and even beneficial mutations are diluted by the population's large size and are unable to reach fixation, due to such factors as constantly changing environments. 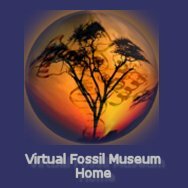 This is consistent with the fossil record where transformation of whole lineages is rare. In contrast, smaller isolated populations are genetically decoupled from the mitigating effects of gene flow can rapidly radiate. A small isolated population would also be subject to more intense selective pressures of their isolated environment. If most evolution happens in these rare instances of called allopatric speciation, then evidence of gradual evolution should be rare. Allopatric speciation (meaning geographic speciation) is speciation that occurs when biological populations of the same species become separated owing to such geographical events as mountain building or social changes such as migration or emigration. The isolated populations then undergo genotype and phenotype divergence as natural selection pressures differ in their separate ecosystems, they undergo genetic drift in separated populations, and different mutations differ in their isolated gene pools. Later, the separate populations may evolve distinctly, If the geographical barrier is subsequently removed, the two populations may be unable to successfully mate and interbreed, essentially forming a new species.